Here’s the lowdown on what’s happening at WDYPTW Productions. May 30 Punchboard Media: Join us at Origins! Join us at Origins for our Punchboard Media meetup! Learn about Gamechangers and help the initiative bring board gaming to Uganda. Mar 19 Punchboard Media: New Content Creators! 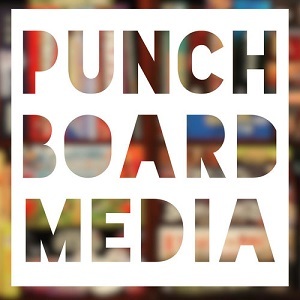 Join us in welcoming some exciting new content creators to the Punchboard Media family! Our friend Mike Primeau from Knights at the Game Table has launched the Path of Play initiative to assist families with children on the autism spectrum. Learn more about it here. Aug 14 Punchboard Media: Join us at Gen Con! Join us at Gen Con for our Punchboard Media meetup! Help us give back to those in need of the joy of board gaming. Announcing a podcast merger, a number of new content creators, a brief website update, a GenCon meetup, and multiple giveaways! Jul 24 Punchboard Media: The Summer of Giveaways Continues! Details on more game giveaways from Punchboard Media content creators! Jun 8 Punchboard Media: Join us at Origins! Join us at Origins for the official Punchboard Media launch party! Welcome to the Punchboard Media website! Pull up a chair and take a look at all the tabletop gaming content we have to offer. But first, a little bit about ourselves.